Coming from a Chinese family, I was introduced to the tradition of the Mid-Autumn or Mooncake Festival at a very young age. Sometime between August and September, my parents would bring us to annual family gatherings to play the dice game. We’d win snacks and toys back in the early days. Gadgets, lifestyle items, money and more were added into the mix as we grew older. This was the Mooncake Festival for me. It was the only reason why I looked forward to the festival. The mooncakes–I could live without. 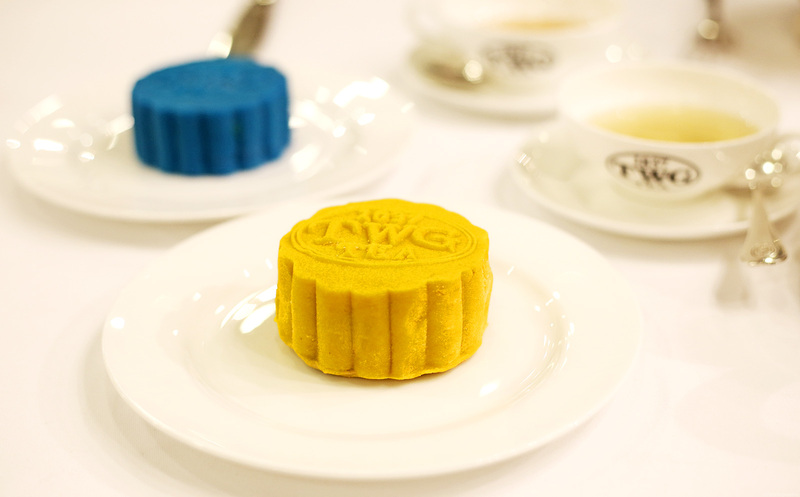 But after getting a taste of TWG Tea’s Red Lantern Tea Mooncake Collection yesterday, I think that just might change. 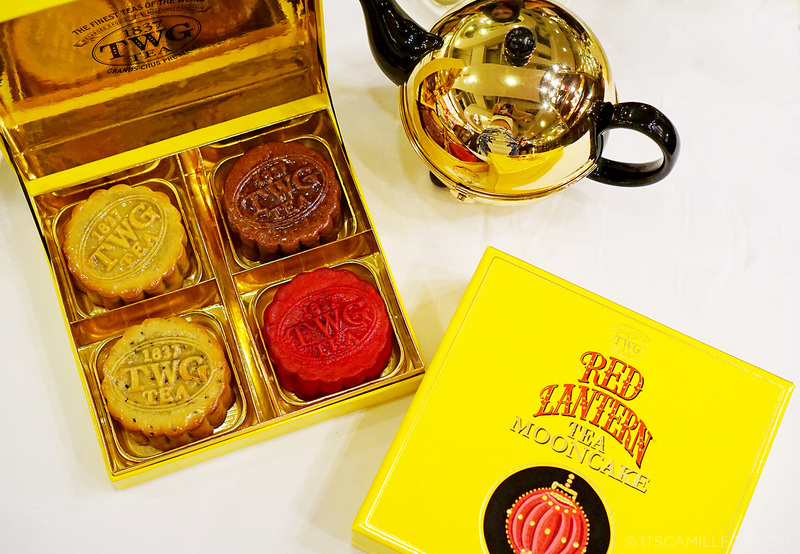 TWG Tea, the world’s finest tea brand, launches the Red Lantern Tea Mooncake Collection comprised of eight intricately crafted tea-infused snowskin and traditional mooncakes. These mooncakes delivered fresh daily are entirely handmade by master patissiers, using only the purest ingredients and accented with the myriad flavours and aromas of TWGS Tea’s signature teas. These are the traditional mooncakes offered in four variants namely Red Lantern, Emperor, Constellation and Moonlight. Red Lantern contains mixed almonds, hazelnuts, macademia and pecans enveloped in a smooth lotus paste, infused with the illuminating combination of jasmine, exotic fruits and sweet spices of Red Lantern Tea. Emperor, on the other hand, is for the red bean lovers out there. It has red bean paste adorning a delicate and aromatic Matcha Nara heart, whisked from the most prestigious tea estate in Japan. Next up is Moonlight. This brown crusted mooncake is filled with smooth black sesame paste, infused with Pu-Erh Prestige and sprinkled with black and white sesame seeds, enveloping a sesame paste heart. Last but not the least is Constellation. This is the most iconic of all the mooncakes because it has the traditional salted egg yolk heart. But like all the other TWG Tea mooncakes, it’s made extra special by the smooth and elegant Singapore Breakfast Tea-infused brown lotus filling and roasted melon scatted all over it. If you’re not really into traditional mooncakes, these snowskin mooncakes are for you. Personally, I prefer these (not just because they’re in prettier colors). Their texture is just so different! It’s like they melt in your mouth. Forgive me, I’m not really a food blogger so I can’t quite explain it. Instead, I’ll just explain to you the different flavors to wet your appetite. This yellow snowskin called Aurora is my favorite. It’s made of salted caramel mousse infused with Napoleon Tea and a refreshing surprise of pear marmalade encased in a white chocolate heart. I can still taste it now! Completing the snowskin mooncakes lineup is this blue snowkin mooncake named Serenity. It has a more subdued flavor compared to the rest of the snowskin mooncakes. It’s filled with a classic kaya mousse infused with Vanilla Bourbon Tea, delicately graced by coconut crisps sprinkled around a strawberry filled white chocolate heart. So have I made you hungry yet? I’m sure these mooncakes woke your senses. Don’t fight the urge. 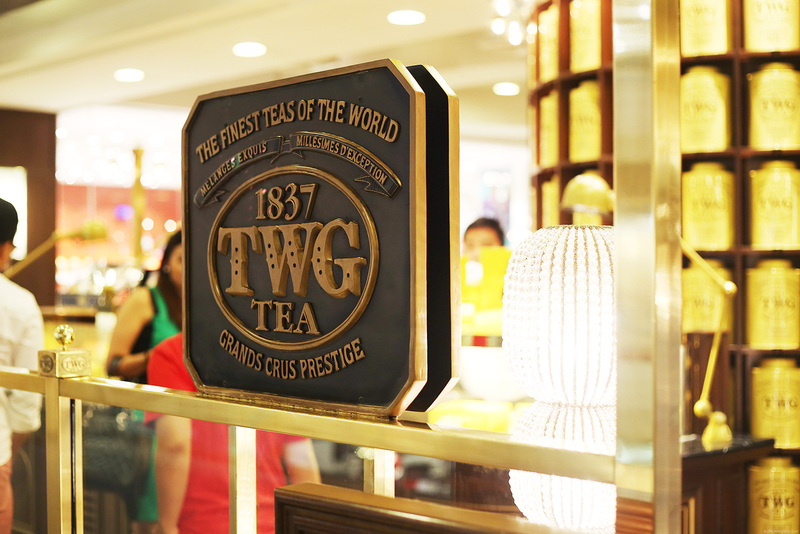 Listen to your cravings and head on over to the nearest TWG Tea branch. 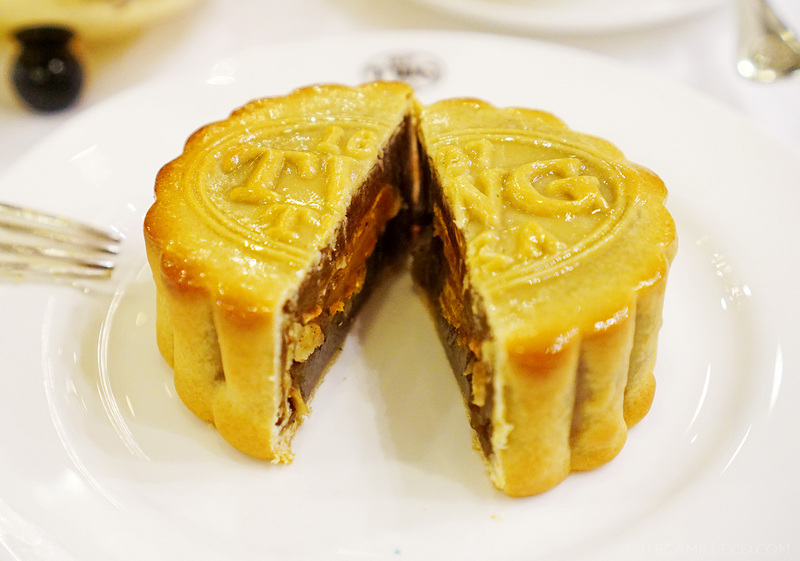 Make sure you pair your favorite mooncake with tea too because mooncakes tend to be sweet and filling. TWG Tea’s Silver Moon Tea is highly recommended. 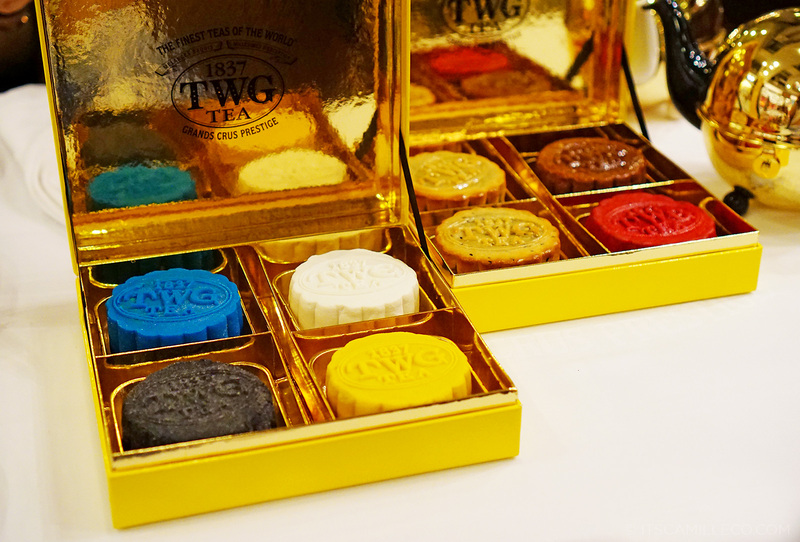 TWG Tea offers a set of four Traditional Mooncakes at Php2,088, while set of four Snowskin Mooncakes retails at Php2,188. Both are available in the Red Lantern Mooncake gift box. 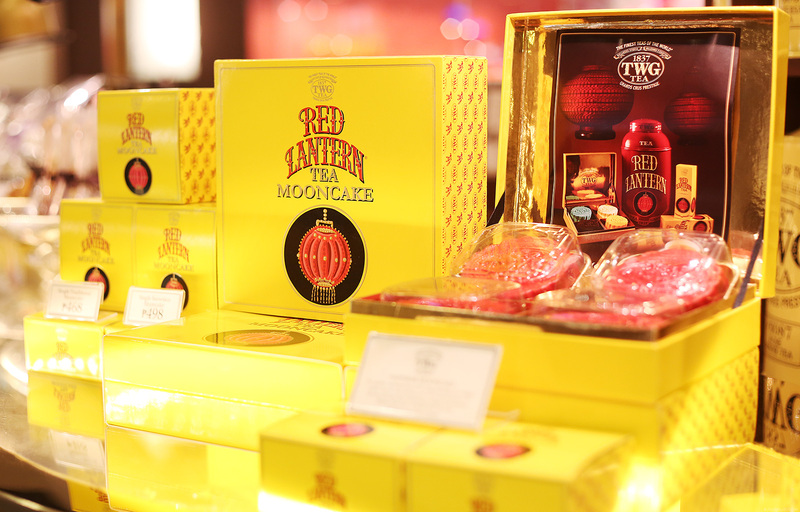 Each mooncake in an individual Red Lantern Mooncake gift box retails at Php468 and Php498 for Traditional and Snowskin Mooncakes respectively.TWG Tea is available at Greenbelt 5, Resorts World Manila, Power Plant Mall, Shangri-La Plaza Mall, Century City Mall and Central Square, Bonifacio Global City. I read Tricia’s version of the TWG mooncake blogpost and I think I will like snowskin too. Both of you liked it and I think I will too. Hahahaha Can’t wait to try them! Ooohh! 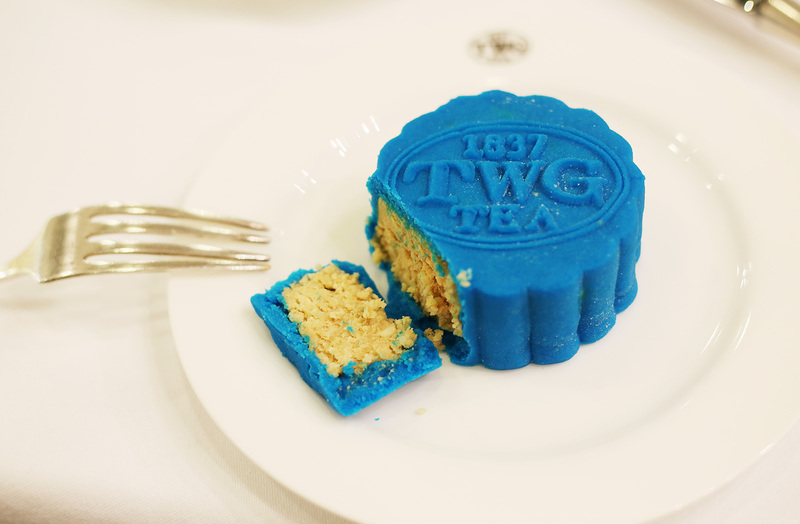 I love TWG and boy, you really made me hungry with this post! Hahahha! How come you didn’t like mooncakes? This is actually what I really look forward every Mooncake Festival! It’s an expensive cakes but I really want to try these new flavors ;) Can you give us some? Please?! Hahaha! I don’t know why I was never really a fan of mooncakes. I can’t give you my TWG mooncakes though because I finished them all already haha! Thank you Judy! If you’ve never tried mooncakes, then you should try these! I’ve never seen a blue mooncake! Mooncakes are actually my least favorite thing about the Moon Festival – I still don’t like them. My favorite was always the festival they has in Chinatown when I was in high school because all the kids came out to play and I always got a balloon I had everyone I saw and knew sign. But then we got older and not many of my then friends go to the festival anymore. However, I started doing kung fu and lion dance so now I am a part of a part festival! Very different atmosphere now. Even though I do not like moon cake, I think I found definitely give the blue one a try. Oh wow! That’s so hard! You must be really strong! :) We’re the same actually. I’m not a huge fan of mooncakes but these are really good! Na curious talaga ako sa snowskin mooncakes so I googled. hahaha… I learned something new today. kaya pala snowskin ang tawag kasi hindi sila baked and are served cold. I was drooling when I read the description. They look sooooo pretty. Thank you so much coz you took a picture of the inside of that gorgeous Serenity mooncake. I was imagining what it would look like when I saw Tricia’s post. haha. I’m not much of a coffee person but I’m def a sucker for teas (and chocolate drinks). Those are a lot of m’s haha! Yummy, my mouth is already watering. My mouth did too! LOL! I looove your earrings! :) Where did you get them? So classy! They taste so good!!!! :) They must be part of your bucket list. MUST! OMG they look simply amazing! I wish I could taste them all. You just made me hungry ate cams!!! I hate you but I love you too hihi. Those snowskin mooncakes not only made my stomach growl but also my eyes! Haha.